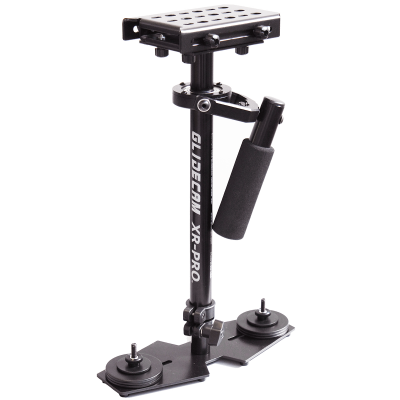 With the Glidecam XR-PRO hand-held Stabilizer your camera seems to float, always balanced, isolated from your hands undesirable motions. Now you are free to move with your camera - panning, tilting, booming or running without any camera instability or shake. Note: The pictured camera is not included.